Going on an island hopping trip with family or friends? Don’t get lost and don’t spend too much time and money. Be informed, here’s a travel guide to El Nido. I went here with my college friends on. In this section you will find our El Nido Travel Guide with information on what to see, do, eat, and where to stay. El Nido is a first class municipality in the province of Palawan in the Philippines. Situated in Bacuit Bay, it is about 420 kilometres (260 mi) southwest of Manila, and about 238 kilometers (148 mi) northeast of Puerto Princesa, Palawan’s capital. El Nido covers a land area of 465.1 square kilometres (179.6 sq mi) in the northernmost tip of mainland Palawan, is bordered by the Linapacan Strait in the north, the Sulu Sea in the east, and the South China Sea in the west. It is composed of 45 islands and islets, each has its own unique geological formations. The highest peak is at Cadlao Island, towering up to 640 metres (2,100 ft) above sea level. El Nido, being part of Palawan, is located in the tectonically active and seismically active Sunda Plate, a plate that is entirely separate from the Philippine Mobile Belt to which the rest of the Philippines belongs. The Permian to Paleogene rocks and limestone cliffs of El Nido are similar to those that can be found in Ha Long Bay in Vietnam, Guilin in China, as well as Krabi in Thailand, all of which are part of the Sunda Plate. El Nido has been inhabited by humans as early 2680 BC, or even up to 22,000 years ago. This was confirmed by the fossils and burial sites, dating back to the Late Neolithic Age, that can be found in many caves and excavation sites surrounding the municipality, particularly the Ille Cave in New Ibajay. Chinese traders had been regularly visiting the area of El Nido for its edible birds’ nests during the Sung Dynasty (960-1279 BC). On June 17, 1954, Republic Act No. 1140 was approved changing the name of the town from Bacuit to its present name, El Nido, after the edible nests of swiftlets, collocalia fuciphaga, found in the crevices of its limestone cliffs. These nests, nido in Spanish, the main ingredient for the gourmet nido soup, are being sold at approximately US$ 3,000 per kilogram. El Nido is governed by a Mayor and a Vice Mayor, who are elected to three-year terms. The Mayor is the executive head and leads the municipality’s departments in executing the municipal ordinances and improving public services. The Vice Mayor heads the legislative council consisting of eight councilors, or more commonly known as Sangguniang Bayan members. The Municipal Council is in charge of creating the municipality’s policies in the form of Ordinances and Resolutions. El Nido is politically subdivided into eighteen barangays. Four of which are situated in the Población (town proper), and are also known by their respective zones. The main language is Filipino, which is largely based on Tagalog. In addition, many people are very proficient in English, Visayan languages (Visayan, Cebuano, Kinaray-a, Ilonggo, and Waray), and Bicolano. A small but significant percentage of the population speaks or comprehends Cuyonon, the native dialect of the Cuyo Islands and most parts of Palawan. El Nido is predominantly Roman Catholic like the rest of the Philippines. There are two parishes inside the municipality: the Parish of Saint Francis of Assisi, which covers the western part of El Nido, and the Parish of Santa Putenciana, which serves the eastern and northern part of El Nido and underlying areas of Linapacan and Taytay. The said parishes are under the Apostolic Vicariate of Taytay. A small segment of the population belongs to other Christian denominations such as Baptist, Iglesia Ni Cristo, Jesus Miracle Crusade, Seventh-day Adventist and other Protestant churches. Recently, there is a growing number of migrants, who are engaged in Islamic faith, from southern Palawan and parts of Mindanao. The average surface temperature ranges from a low of 22°C to a high of 33°C. The coolest temperatures are usually experienced during the month of January, while the hottest temperatures are felt in April and May. The average water temperature ranges from 24°C to 26°C during the months of December to March and 26°C to 29°C during the months of April to November. There are no telephone lines that operate in El Nido. Resorts and other tourist facilities use satellite telephone systems, while majority of the population rely on cellular networks Smart Communications and Globe Telecom. There is a telegraph facility at the El Nido Post Office, and Wi-Fi and Internet access in a number of establishments. Electricity in El Nido runs from 14:00 to 06:00 but some places (not necessarily the expensive ones) have their own generators that cover the period in between. There are no banks or ATMs in El Nido. Make sure you cash up in Puerto or Manila before you set out. In case you have run out of cash you have the following options: El Nido Boutique & Artcafe can give Cash advances on credit cards but charges a hefty 8% surcharge. You can change major currencies for a fair rates or either you can use Money transfers like Western Union. Dive operators and El Nido Boutique & Artcafe also accept credit card payments, this can save some of your cash as well. In charge of the overall security of El Nido is the multi-sectoral security network composed of the Philippine Navy, Philippine Air Force, and Philippine Army under the Armed Forces of the Philippines’ Western Command in Puerto Princesa, the Philippine National Police Maritime, the Philippine Coastguard, the Provincial Government, the local government units, members of the local community, and the Palawan Tourism Council. Being the closest municipality to the protected Malampaya gasfield, El Nido serves as the headquarters of the Philippine security force tasked to supplement the local security force already in place in El Nido. This special security force commands personnel, navy vessels, speedboats, and aircraft. The El Nido Resorts, being one of the top tourist destinations in Asia, also maintains an effective unit of security personnel duly licensed by the Philippine National Police Maritime. They are in charge of monitoring the activities within the resort areas, as well as conducting day and night patrols and surveillance activities within the resorts and nearby islands. Air. The fastest and most direct way to El Nido is from Manila. The flight takes one hour and fifteen minutes, and lands directly at Lio airport, which is located about 4 kilometers from the Población. There are only two airlines that fly to El Nido, namely South East Asian Airlines (SEAIR) and Island Transvoyager Inc. (ITI). ITI is a charter airline that operates as a sister company to the two main resorts on El Nido. SEAIR is a commercial airline with flights from Manila to El Nido, with a stopover in Busuanga. Another option is to fly to Puerto Princesa. Daily buses and jeepneys depart at San Jose Terminal in Puerto Princesa for El Nido. Seaports and piers. The main port in El Nido, which is under the jurisdiction of the Philippine Ports Authority (PPA), is located in Buena Suerte (Zone II), although a number of small and accessible wharfs, such as the San Fernando pier, are being used in other rural barangays. A number of ferry and other sea vessels owned by Atienza Shipping Lines and San Nicholas Shipping Lines have regular trips from Manila to El Nido. Tricycles are used for short-distance trips around the town proper. Bacuit Bay, Cadlao Island, Dilumacad Island, Miniloc Island, Lagen Island, Pangalusian Island, Vigan Island, Cudugnon Point, Matinloc Island, Pinasil Island, Aberawan River, Ille Cave, Balay Tubay, Población (town proper). Island hopping, snorkeling, kayaking, diving, trekking, and cliff climbing. El Nido shirts, postcards, pearls. Try the popular Nido Soup, made from edible nests of swiftlets, collocalia fuciphaga, found in the crevices of El Nido’s limestone cliffs. El Nido Four Seasons Beach Resort located in Sito Lugadia, Barangay Corong Corong (The property is just 3 km or a 3- to 4-minute ride from the town center). All rooms are equipped with Air-conditioning, TV with cable channels, Hot shower, Private balcony, Private toilet and bath. Some of its facilities and services are Island hopping tours, Airport transfer, Massage service, Room service, and Laundry service. El Nido Beach Hotel. Each room and suite is designed with the comfort and convenience of guests in mind. All rooms have hot Water, TV, Mini fridge and free Wifi. P3500-5500. La Casa Teresa Beach Resort lined next to El Nido Four Seasons Beach Resort in Sito Lugadia, Barangay Corong Corong. Lagen Resort in Lagen Island have 50 rooms and cater a la carte meals and buffet. A clinic, library, boutique, a swimming pool and a game area are some of the facilities offered here. Lally & Abet Beach Resort in Barangay Masagana, a Dept. of Tourism accredited hotel, has 34 rooms with an A/C, telephone and shower, a laundry service and foreign currency exchange is also provided here. For leisure they also have sports facilities for badminton and volleyball games. Major credit cards are accepted here. Miniloc Resort in Miniloc Island, have 51 rooms. 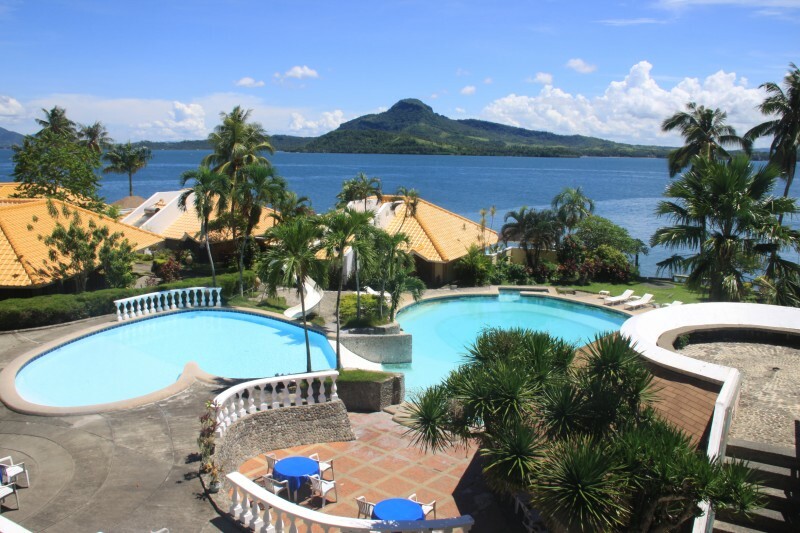 Aside from being a resort, they also offer snorkeling facilities, and they have kayaks, aqua bikes, and other water sports equipments available for rent.